Thanks to the new 149 MHz high frequency technology, the new Minigac has reliability and performance comparable to bench instruments like the GAC 2100, while remaining a portable instrument. Thanks to the bluetoooth functionality, the data can be viewed, processed and saved in your smartphone. The tool is available for demonstrations at our headquarters in Pianello Val Tidone. The Mini GAC® Plus is very easy to use. 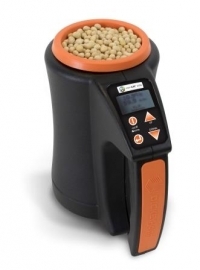 After switching on, simply follow the indications on the display, choose the product to be analyzed, fill the hopper, load the cell and press the analysis button. The result will be displayed in a few seconds. 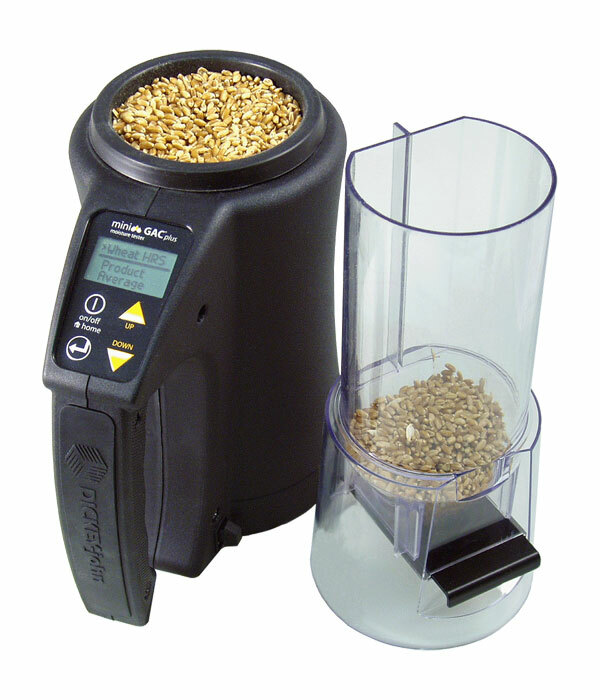 Mini GAC® produced by DICKEY-John is a portable device that allows a quick and precise analysis of cereals, to a level never before achieved. It is available in two models; the Mini GAC® for measuring humidity and temperature and the Mini GAC® Plus for measuring humidity, specific gravity and temperature. 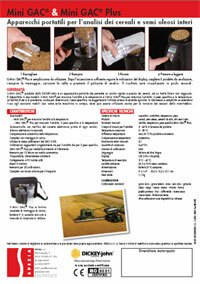 The ease of use and precision, even to determine the specific weight, suggest its use at farms. robustness and simplicity extend its use to mobile dryers as well as to field machines, where it can also be used for the calibration of the combine sensors. (Mini GAC® Plus) to adapt them to the reference method.